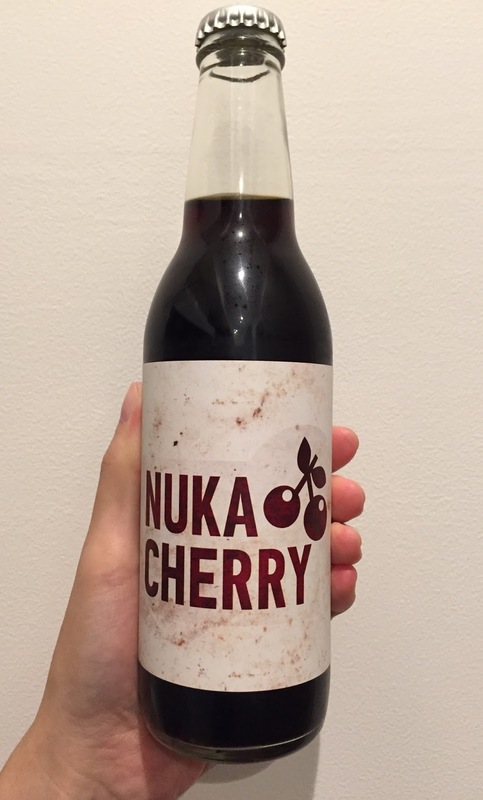 My husband got Nuka Cherry from his co-worker when he's in Japan. 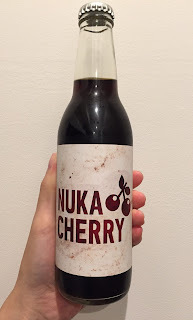 When I did research, I came across with sites that it's from a game called Fallout, and specifically the Nuka Cherry appears in Fallout 4 as a version of Nuka-Cola. However, I don't know recent games at all and I like simple games like Super Mario Brothers (Family Computer version or SUPER Famicom), Dr. Mario, Yoshi, Tetris and Puyo Puyo so that I have no idea what kind of game Fallout series are. "To prevent it from blowing out, please do not shake before opening the bottle." 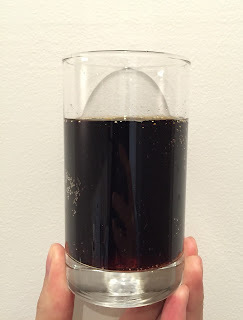 It looked like Coca-Cola coke with fine bubbles. 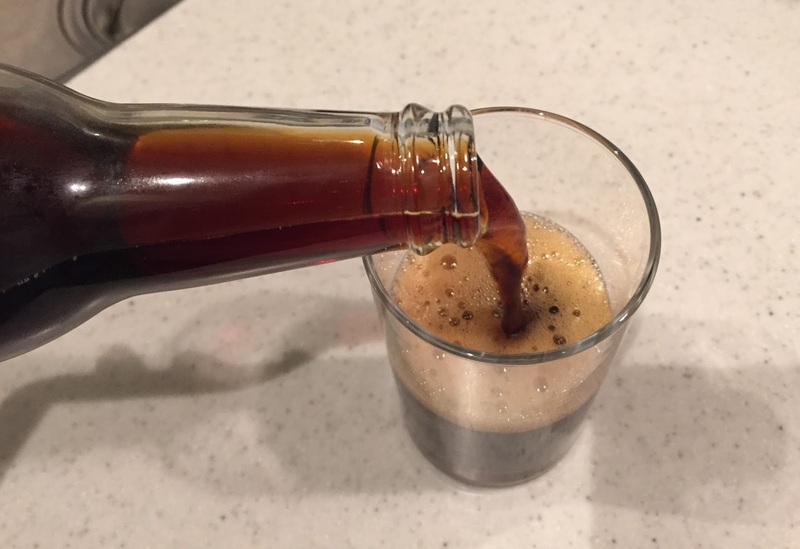 When I poured into a glass, the color seemed quite dark. It had subtle fruity scent and taste, and the gas was softer than Diet Cherry Coke. It's sweet yet the cherry flavor was little and barely noticeable.